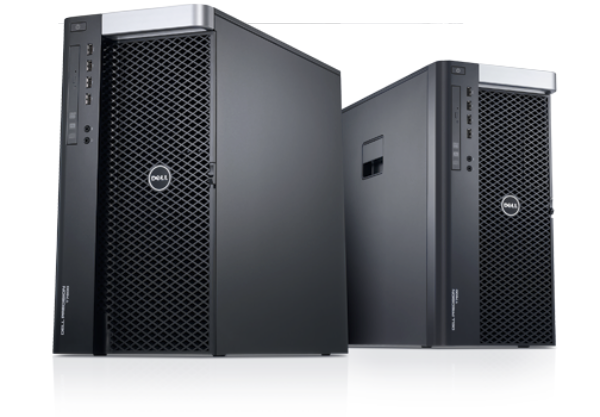 Experience the most scalable Dell Precision Workstation. Power through resource-exhausting and graphics-intensive engineering and analysis workloads with the advanced architecture of the Dell Precision™ T7600*. Take charge of your workload with powerful Intel® Xeon® processor and up to 512GB* of memory. Process huge data sets with ease with up to eight hard drives and an integrated Serial ATA (SATA)/Serial Attached SCSI (SAS) controller. Your most important Workstation-class applications will run smoothly thanks to independent software vendor (ISV) certification available with the Dell Precision T7600. A variety of NVIDIA® and AMD® graphics options, including powerful NVIDIA Maximus® technology, help you get the most out of your Workstation. Complete your Dell Precision T7600 Workstation experience. Enjoy a suite of dedicated IT support 24/7. Dell ProSupport™ helps minimize downtime with phone, online or onsite support. Options for Dell Next Business Day Onsite Service after Remote Diagnosis for onsite repairs.